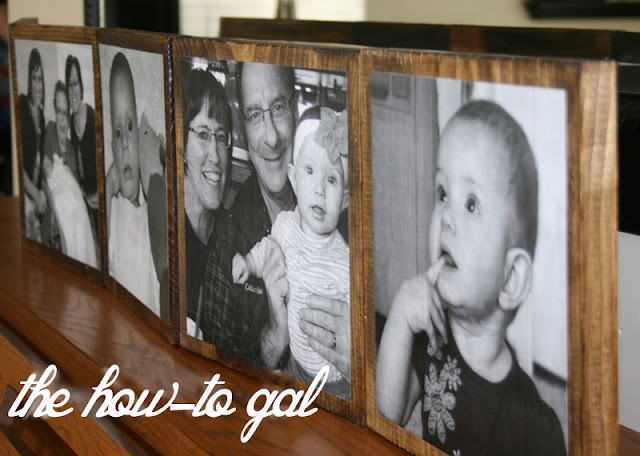 The How-To Gal: Mother's Day DIY Idea: Freestanding Photo Gallery AND a Giveaway! 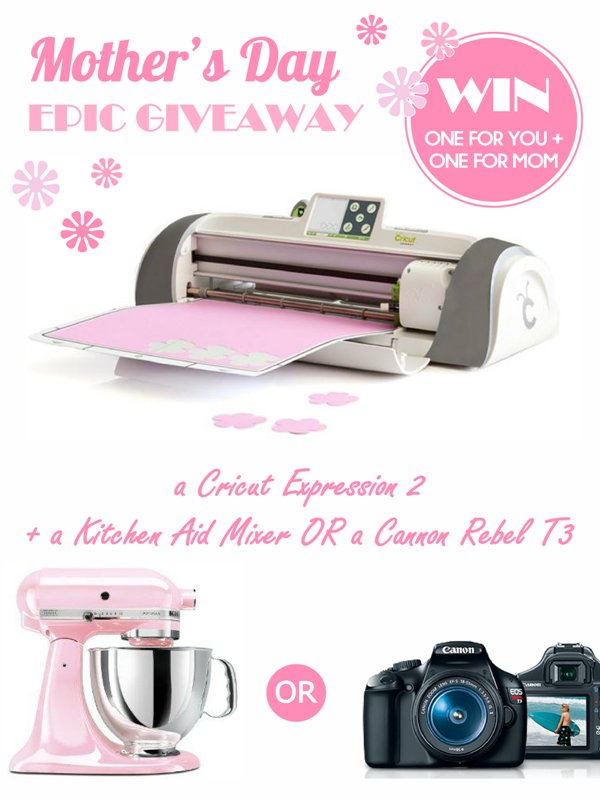 Mother's Day DIY Idea: Freestanding Photo Gallery AND a Giveaway! Reaching into the archives to share one of my most favorite projects, the freestanding photo gallery. It's a really easy project with a huge impact. AND it makes a fantastic Mother's Day gift. hint. hint. Step One: Go to your local hardware store, and purchase a board with a width and thickness you like. I chose 3'x 10"x 1" and had them cut it into 5 10" x 10" pieces. Step Two: I stained the wood pieces except for the middle area on the front. Step Three: Once your boards are dry, begin the mod podge process. Put a thin layer of mod podge on the board and on the back of the photo. Step Four: Place the photo onto the board in the center. Be sure to smooth out the bubbles as best you can. Step Five: Once the photo is dry, apply another coat of mod podge on top. Smooth out any bubbles. Step Six: Once the pictures are dry, flip over and mark where you need your holes drilled. I measured 1 3/4 inches from the top and bottom. 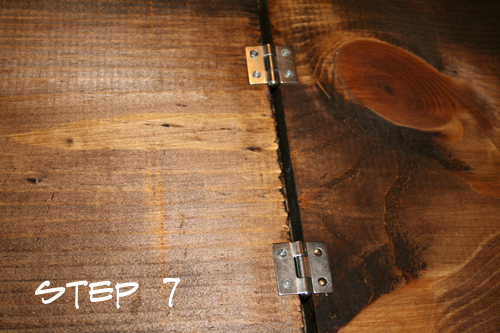 Step Seven: Install your hinges with your screwdriver or drill. Step Eight: Connect all of your wood pieces. Side note on the hinge installation: I installed my hinges in an "innie" direction so that the bulk of the hinge hid between my boards. Whichever way you choose, try to do it uniformly so all the hinges look the same from the back. What do you have planned for your mother this year? Nothing you say? Have I got a solution for you. The participating bloggers were not compensated for this post. No purchase is necessary to enter. Void where prohibited by law. The odds of winning are based on the number of entries received. ** This promotion is no way sponsored, endorsed or administered by, or associated with, Facebook. ** To qualify to win, you must fill out the Entry. See Rafflecopter for complete rules. This giveaway is compliant with Facebook Promotions Guidelines. Must be aged 18+ to enter & win. Valid only in the United States. Void where prohibited by state or national law. this is cute! i thought they were frame at first but the modpodge is much better. i like the hing idea! I have been stalking your blog for months now, and I enjoy your posts, when i saw that you had posted i happily clicked on the "How-to-Gal's" blog when what do i see? A DIY mothers day gift with a picture of familiar faces, i looked at least 4 times to make sure but there was no doubt, your mom is my aunt! all this time i have been stalking my cousin and didnt even know it! I never knew you were so creative! you should check out my blog sometime, i know i'll keep reading yours! OMG I absolutely LOVE this project! This is such a perfect Mother's Day gift (gift for anything really). I'd really love to try this one day for sure! Thanks for the great ideas throughout your whole blog! Thanks for all the encouragement guys, your comments are what keep me going!! Rachel, heading over to your blog to say "hi," it's been awhile!!! So glad you found me! This accordion frame is beautiful! I have also posted a great Mother's Day gift using photos on my blog, and welcome you to check it out! What a great idea and tutorial. Thanks for sharing. WOW, what a great idea! Thanks for sharing and the "how-to-do" tips! Hi! Love your site! Just wanted to let you know that I featured you on my DIY Mother’s Day gift post. I host a MckLinky party called Tot Tuesdays every week where people come link up their recipes, crafts and activities for their toddlers. I am also hosting Yummy Mummy Week which starts this Sunday. I hope you will join me for 8 days of featured mom bloggers sharing inspiration and tips on motherhood as well as 8 giveaways which are perfect gifts for mom. There will also be a Blog Hop where moms can share their stories, photos and “mommyfessions” about motherhood and how their bodies have changed. I’d love it if you would come stop by! This is so simple yet so impressive! Perfect gift for a mom! What type of photo paper did you print on? The basic, thick photo card stock or regular paper? Print your pictures at a print shop on photo paper or heavy white card stock. 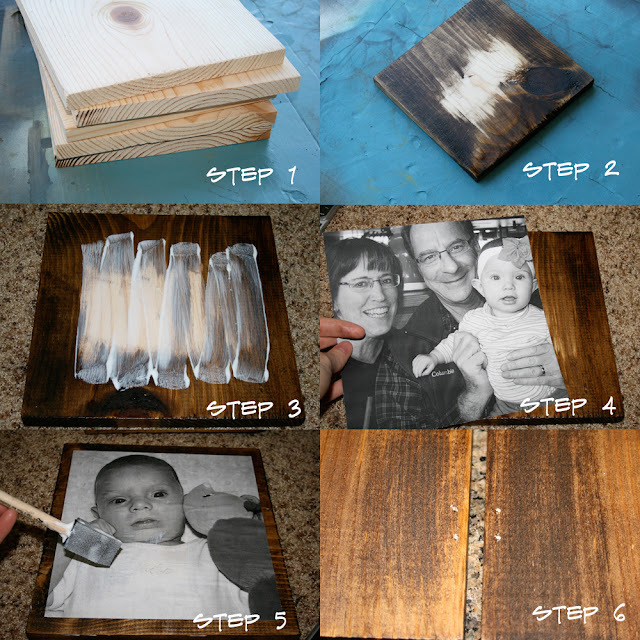 Instead of using mod podge to attached the picture to your wood board, use spray adhesive. LOVE this idea! This is something I've always wanted to try, but I don't have a printer that I can use =( Maybe someday! Great idea for family photos! Thanks for the AHmazing giveaway!